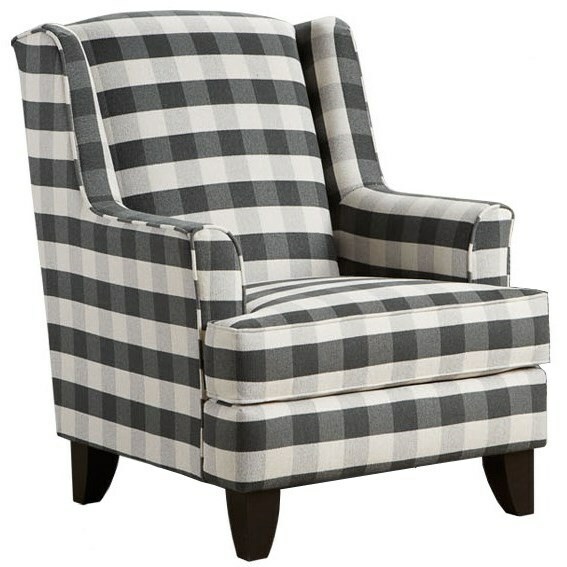 Transitional lines present this wing chair with a timeless appeal as an accent chair. You will love this for seating in a living room, bedroom, den, or office. The 260 Transitional Wing Back Chair by Fusion Furniture at Reeds Furniture in the Los Angeles, Thousand Oaks, Simi Valley, Agoura Hills, Woodland Hills, California area. Product availability may vary. Contact us for the most current availability on this product.